2 to 4 day golf arrangements. We reserve the green fee at the 18-hole golf course in Clervaux in the splendid landscape of the Ardennes. Situated between Echternach (30Km) and Clervaux (28 Km), Vianden is the perfect place from where to take a trip to Luxembourg-City (45 Km, old town with town wall), to the Moselle (50 Km, visit of wine cellars & butter-fly garden) Trier (65 Km, old roman town 200 years). Take a bike tour to Echternach along little Switzerland. through the Our nature reserve, discover the environs by well maintained tracks, offering spectacular panoramic views. Varied fauna and flora in the wide forest and narrow valleys. 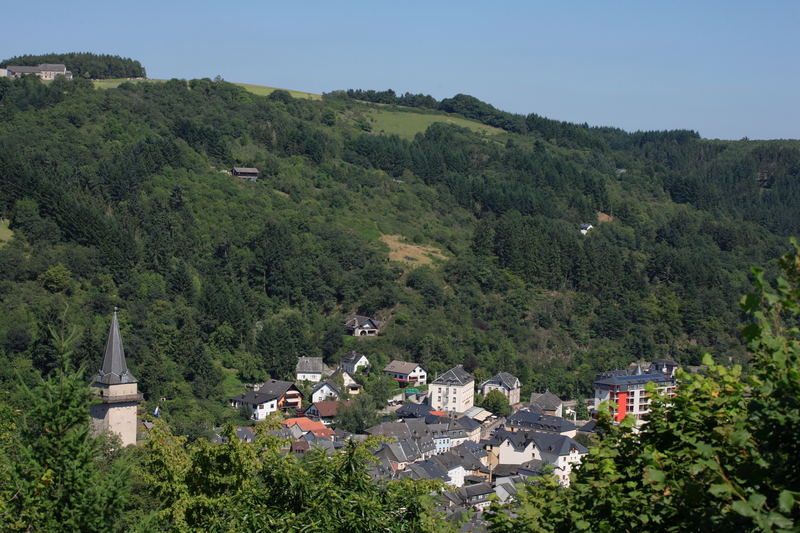 The Ardennes countryside offers mountains and extensive forests. Ideal settings for walking and enjoying pure nature Outdoor activities like kayaking, horsebackriding and mountainbiking . The winding roads and quiet traffic offer supreme driving experiences for motorbikes and classic cars.